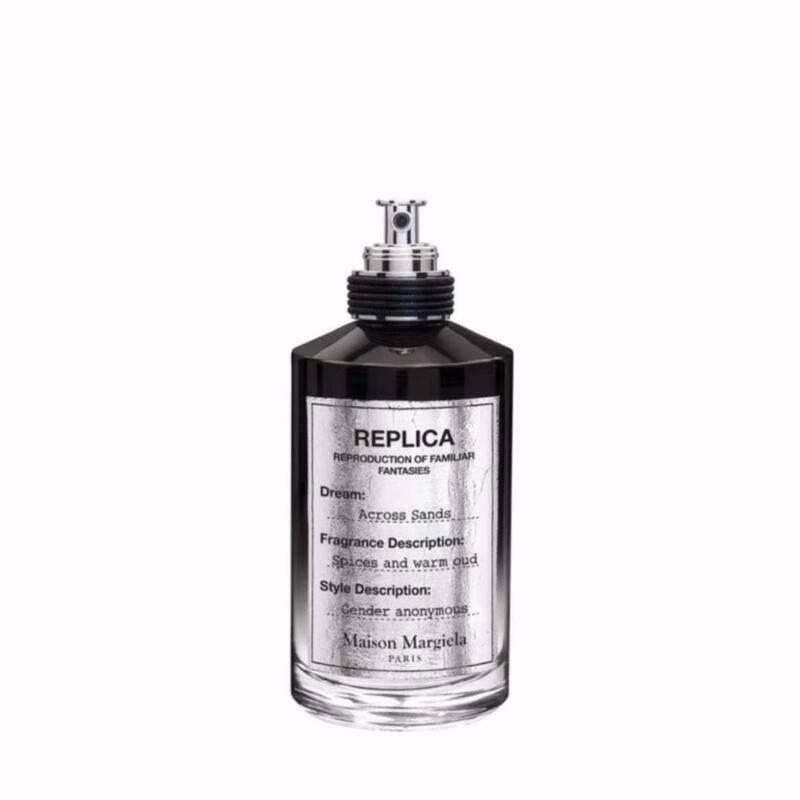 The newest collection of REPLICA Eau de Parfums draws inspiration from a unique vision of fantasy, unveiling personal aspirations, emotions, and dreams.Across Sands transports you to a desert paradise where notes of bewitching spices and blazing oud, sweetened with oriental date accord, flow through the winding dunes of sand. Transport yourself to a vast golden landscape, where the sun radiates gentle warmth onto your skin and desert mirages appear in the distance. As the air cools and the sun begins to set, watch grains of sand swirl across the cracked desert floor through the eternally restless air.